The feijoada rests. I added linguisa and wild boar sausage; and, unfortunately, there’s been a little burn on the bottom, so I’ve been carefully stirring. When I warmed the beans and meat up this morning, I checked news on my phone, and I looked back again to find vigorous bubbling. Ha! Fire does not allow for inattention, such a jealous lover. One must not allow burning on the bottom of the pan, so I’m managing this minor crisis. We’ll see. Gabriela and Helena have tasted and assure me it’s wonderful, but a slight “toasty” taste appears in the finish. So, the feijoada rests. Off to the beach in a little while, and when we return I’ll carefully reheat the pot and Gabriela will sauté garlic and kale. 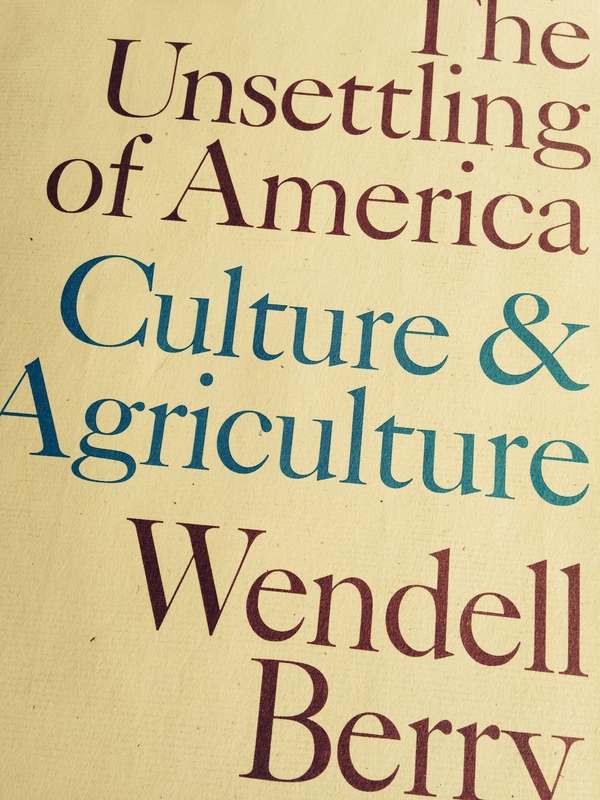 Meanwhile, let’s take another look at Wendell Berry. Berry’s opening chapter focuses on the exploitive nature of not only contemporary agribusiness, but the initial “conquest” and colonization of the Americas. He has special criticism for Nixon’s Secretary of Agriculture, Earl Butz. Berry sees this catastrophe beginning with the first expansive approaches of farmers who viewed North America as a boundless wilderness to use without time-tested farming techniques to protect the soil. As pointed out in his book, one result of this policy sweeps America in the Dust Bowl years. Berry’s counter to this “catastrophe,” resides in Thomas Jefferson who, he reminds his readers, connected small, family farms to a vibrant democracy. In the opening chapter, stakes are clear and of long-standing: exploitation of the land has led to exploitation of people, turning them into mindless consumers, and the political consequences extend into a weakening of our democracy as we become further removed from the land and each other. To end this blog on a more hopeful, resonating note, check out the link from Roads and Kingdoms I’ve included. This blog is an amazing combination of food, music and politics. This particular edition features Cook It Raw descending on the Carolina low country. Fantastic! The amazing Sean Brock, Alessandro Porcelli and others pursue barbecue with a vengeance. And the argument throughout the event and this blog, is that good food comes from a vibrant heritage and cooks and crops working together. Bon appetit! Previous Previous post: You Say Bones, I Say Feijoada!